Landrieu is a household name in Louisiana. A Southern, conservative Democratic stronghold for generations, the Gulf States have edged toward the GOP since the mid-1990s, when Bill Clinton made fiscal discipline a national value, yet his party failed to follow suit. Still standing true on American values, limited government, and individual liberty, Southern Democrats felt less welcome in their party, and started moving to the GOP. Except for US Senator Mary Landrieu of Louisiana, who has had it pretty easy in the Big Easy. A staunch defender of the oil industry, a reliable provider of federal earmarks, she flew out in full force for her state during Hurricane Katrina. In 2014, however, the voters will not turn out for her. Not this year. Not this time. Even though she survived to the December 6th run-off , two major Republican challengers with their combined votes more than top whatever she garnered November Fourth. Of course, the National Republican Senate Committee has left nothing to chances. But they certainly have de la chance [good luck] this year. Republicans have all the factors on their side, and the conservative who did win the run-off, Bill Cassidy, will be the next US Senator From Louisiana. What happened to the Democratic franchise in the Pelican State, and Landrieu in particular, that even the three-term incumbent loved by both sides of the aisle is struggling so badly this year? This President has so ruined the Democratic brand's national appeal, he has undone the former DNC Chairman's Fifty-State Strategy, that Southern white Democrats will become a figment of political history. The senator went along to get along from 2008 to 2014, forced to vote "Yea" on Obamacare, Dodd-Frank, and every other Big Government agenda one can think of. The President's vision of government-controlled health care, plus his aggravated push to redefine marriage, expand poverty programs (and poverty with it), along with his pro-abortion stance, which have pushed Landrieu further to the left. After six years, the Lady from LA cannot run from a record so contrary to Louisiana values. Even her claims of senatorial seniority have fallen on deaf ears, especially among her colleagues. The most influential Democrats in the upper chamber are clamoring for climate change, an agenda hostile to carbon exploration and distribution, i.e. Louisiana residents and businesses. In a last ditch effort to save her seat, Majority Leader Harry Reid submitted the long-delayed Keystone Pipeline extension to a floor vote, which lost by one vote. “I’ll be very honest with you. The South has not always been the friendliest place for African-Americans. It’s been a difficult time for the president to present himself in a very positive light as a leader. She apparently forgot that President Obama won Virginia and Florida twice, along with North Carolina in 2008, all of which are Southern states. While she paints the South as a bastion of racist animus, Landrieu ignores that two Southern states have Indian-American governors: Bobby Jindal of her home-state Louisiana, and Nikki Haley of South Carolina. The first black male US Senator since Reconstruction is in South Carolina, too, Tim Scott, who just won reelection this year. It's not always been a good place for women to present ourselves. It's more of a conservative place, so we've had to work a little harder on that. 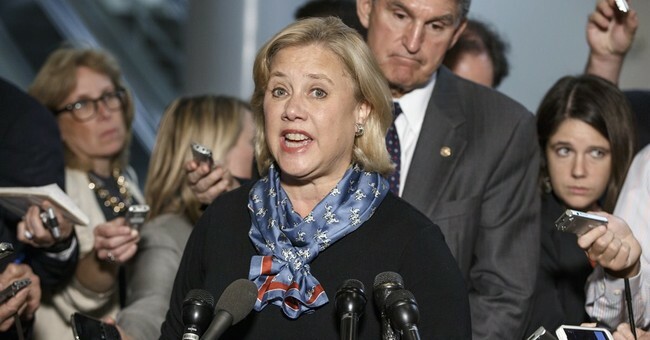 Landrieu should take a long look in the mirror, and recall that Louisiana voters sent a white women to Washington during Presidential and off-election years for nearly two decades. Here's a comprehensive list of female legislators in Louisiana, and he is a list providing the data on female legislators throughout the country. Yet there may be more to the allegation that the South, particularly black voters, are not friendly to the President. Landrieu neglected to mention that the President's policies have heightened racial tensions, job-killing regulations, and union-friendly restrictions on school choice. President Obama's stance on individual liberty and religious expression has driven many blacks in the South to the GOP for the last four years, including councilmembers in Georgia, former Congressman from Alabama Artur Davis, and Louisiana state senate Elbert Guillory, along with state legislators in Missouri, and West Virginia.